Some international newcomers gradually set themselves apart from franchise pretenders. Others make a positive impact immediately. Van der Dussen identifies with the former and, wary of premature judgement, is already doing enough to forge ahead of the rest. 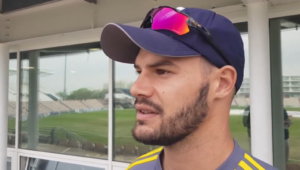 Van der Dussen is not a one-dimensional batsman banking on a token opportunity in a format South Africa traditionally use as an introduction to international competition, but rather a multi-skilled cricketer capitalising on a busy northern hemisphere summer. The talented right-hander, indeed, played for the St Kitts and Nevis Patriots in the Caribbean Premier League through September – and Vancouver Knights in the Global T20 Canada in July. Those tournaments flanked a brief stint of first-class competition for South Africa A in India in August. Lessons learned from big-hitting West Indians Chris Gayle and Andre Russell at the Knights and Patriots a month ago were examined in East London on Tuesday, when Van der Dussen predictably passed with flying colours. ‘I was lucky to be picked up there to play with Gayle and Andre. I think the thing that stood about them is their clarity of mind. They keep training simple and it’s a lot about being strong mentally. That’s why they’re so good,’ Van der Dussen told EPSNcricinfo in late August. Reverse sweeps that suggested fully fledged switch hits will eventually follow and pinpoint strikes straight down the ground impressed against the spinners. Shuffling across the stumps to manipulate the seamers’ line through the leg-side entertained further. 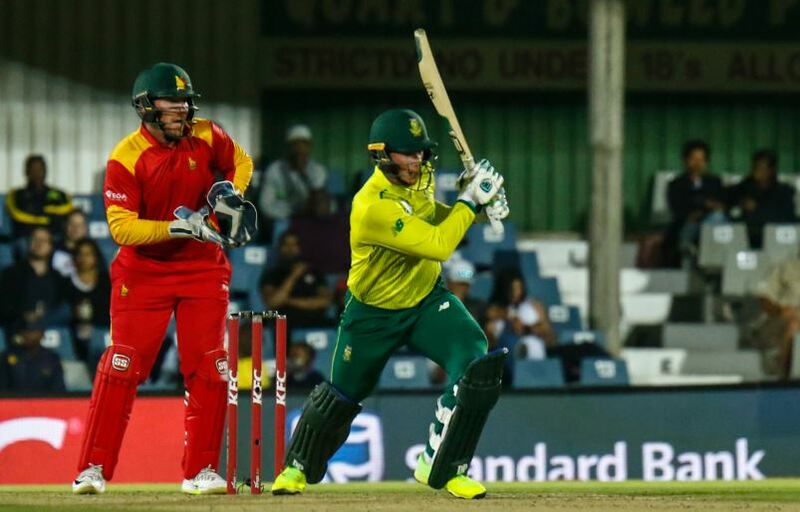 While fellow newcomer Christiaan Jonker was entirely guilty of rash shot selection against leg-spinner Brandon Mavuta in the ODIs that preceded these T20Is, Van der Dussen met the slow bowler with cool, calm, collection and calculation. He read Mavuta’s googlies well, confidently playing the ball late – and from deep in the crease. He was adept to the sluggish Buffalo Park pitch and acutely aware of field placements, exemplified by cutting the ball later to force the sweeper-cover straighter – or sooner to push the fielder squarer. Van der Dussen evidently benefitted from alliances with Faf du Plessis and David Miller. The veterans’ presence lessened the pressure and maintained a steady strike-rate. Batting with, say, Gihahn Cloete or Jonker would have manifested a different side to Van der Dussen’s game. This, soon enough, will be required in different circumstance and scenario. Like Jonker, Junior Dala, Heinrich Klaasen, Reeza Hendricks and others have, Van der Dusssen’s T20I introduction will soon graduate to ODI inclusion – if not against Australia in November, then Pakistan early next year. Whenever it will be, this streetsmart globetrotter is a fresh frontrunner in the chasing pack.